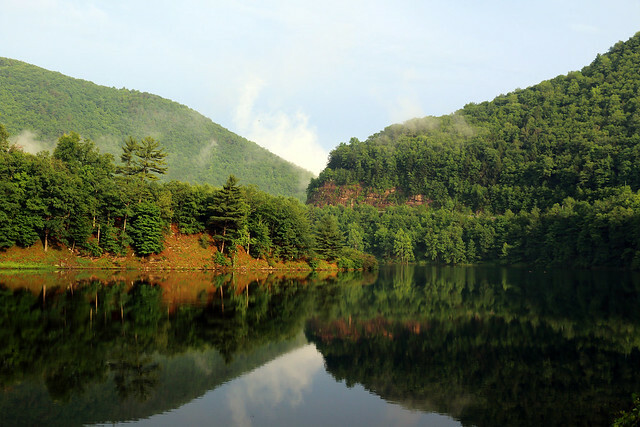 Kettle Creek State Park consists of 1,793 acres along Kettle Creek in western Clinton County. The park is in a valley surrounded by mountainous terrain and wilderness. Many of the existing recreational facilities arose from a joint flood control project developed by the U.S. Army Corps of Engineers and the former Pennsylvania Department of Environmental Resources. The park office is open specific hours. Overnight areas and other areas are open specific seasons and hours. Contact the park office for facility seasons and hours. The park is along SR 4001, seven miles north of PA 120 at Westport and three miles west of PA 144. During the summer months, Kettle Creek State Park shares an environmental interpreter with Ole Bull State Park. The history and environment of the area are topics for educational programs for park visitors of all ages. Children’s programs, guided walks, and campfire programs are scheduled throughout the week. Program schedules are available at the park office. Special requests are welcome and may be directed to the park office.